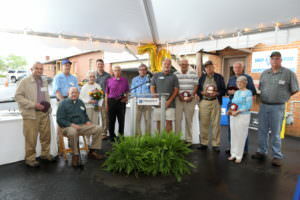 Triangle Celebrates 70th Anniversary | Triangle Construction Company, Inc.
Triangle Construction recently celebrated our 70th anniversary with a BBQ on April 27, 2017. The event was held at Triangle’s Laurens Rd. office which was built in 1955. Despite the rain, hundreds of guests turned out to help mark the special occasion. Tracy Pellett, Chairman of the Board, spoke of the company’s history and early days. Tracy’s father, John Pellett Jr, founded the company in 1947, along with Heyward Morgan and Nelson Tracy. 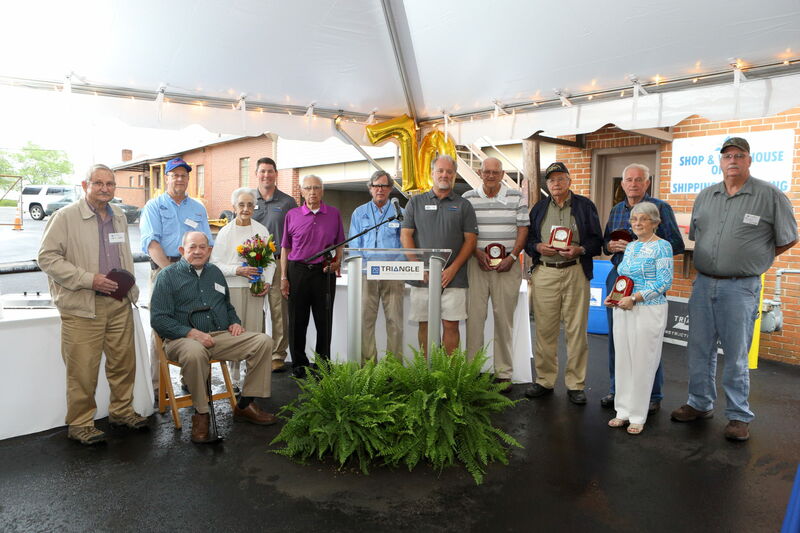 A highlight of the celebration was the well-deserved recognition that several employees received for their service to the company, most of whom are now retired and had worked at Triangle for over 40 years; the majority of our employees have been with the company for over 25 years. That is a true testament of loyalty, which is one of the words that best describes Triangle. Integrity, Commitment, and Loyalty are not only the foundations of this company, but words that we live by. Joey Taylor, our general superintendent, said it best: “As I watched attendees come in, I quickly knew it was way more than a party. It was way more than a celebration. It was a family reunion.” We couldn’t agree more. Thank you, Greenville. Here’s to the next 70 years!